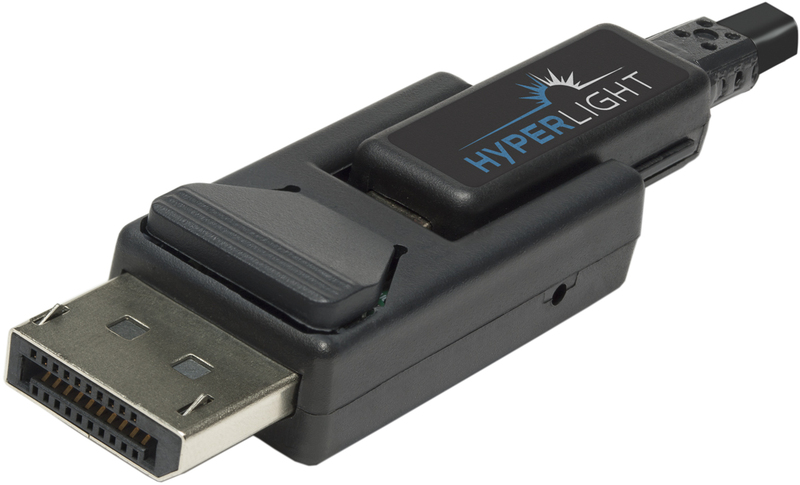 Shattering Limitations — DVIGear�s HyperLight® Series is a new generation of advanced Active Optical Cables (AOC) that employ cutting edge technology to deliver unprecedented resolution, performance and value. 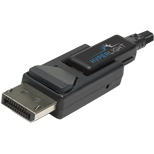 HyperLight cables support DisplayPort 1.4 and provide a wide range of features in a compact, lightweight form‑factor. 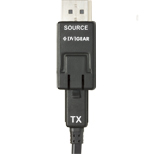 They are fully HDCP 1.4 / 2.2 compliant and support signals with data rates up to 32.4 Gbps. (HBR3). These features enable HyperLight cables to support very high resolution applications at 4K / 60Hz (4:4:4) with cable lengths up to 100 meters and 8K / 30Hz (4:4:4) up to 50 meters. Easy to Install, Even in Plenum Spaces — HyperLight cables are plenum rated (UL CMP-OF), compact, lightweight and highly flexible. Constructed using a hybrid design of 4x POF (Polyfluorinated Optical Fiber) and 6x copper wires, they are rugged, yet flexible, with a minimum bend radius of just two millimeters. To minimize cable diameter, two removable DisplayPort docking connectors may be detached, revealing a connector cross‑section that measures just 10 x 12.4 millimeters. The docking connectors include a locking pin for added security. 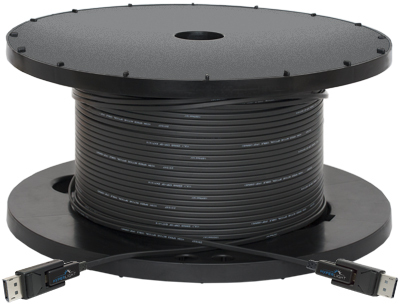 These features make the cables easy to install even in narrow conduits as well as in plenum spaces. 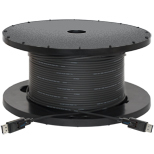 Professional Environments — These cables are designed for use in mission critical applications where image quality and dependability are paramount. The video signals are transmitted over four optical fibers, which make them immune to interference from environmental noise. The optical transmission path provides a very low RFI / EMI profile, which allows the cables to be installed in sensitive applications with strict security requirements. The cables draw power from the connected DisplayPort source, eliminating the need for an external power supply. 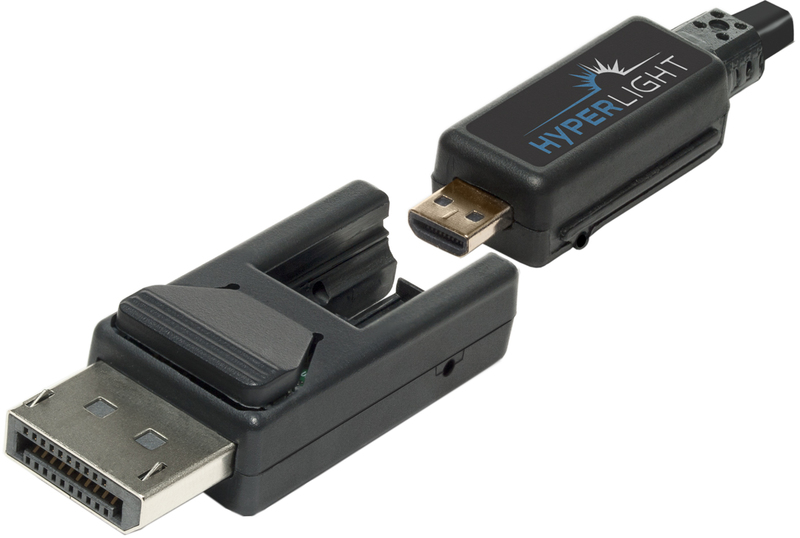 HyperLight AOC cables are ideally suited for applications that require ultra-high resolution DisplayPort signals to be extended over long cable runs with flawless image quality. Note 1: Cables are shipped unspooled. Optional Cable Spools (shown above) are available for an extra charge. Power No external power supply is required. AUX Channel Communications Supports bidirectional communications for EDID, HDCP, Link Training, etc. Note 1: Cable lengths greater than 50 meters (164.0 feet) can only support DisplayPort 1.2 specifications. Note 2: All specifications are subject to change without notice. 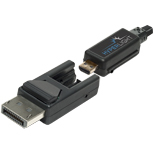 The DVI-8610a Adapter Cable allows the connection of the DisplayPort v1.2 Fiber Optic Cable to a Mini-DisplayPort device.